The HALO SleepSack 2-Piece Gift Set includes one SleepSack Swaddle and one SleepSack, for safer, better sleep as your baby grows. The HALO SleepSack­ Swaddle replaces loose blankets in the crib that can cover your baby’s face and interfere with breathing. In addition to helping your baby sleep safer, it helps him sleep better, too. 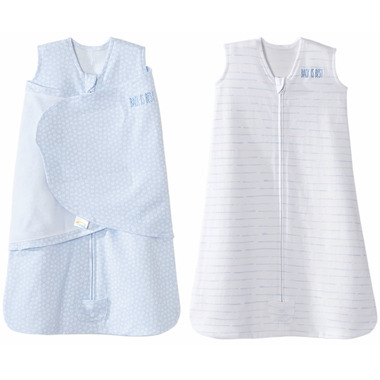 Its adjustable swaddle wrap snuggles your baby's arms to prevent the "Moro" or startle reflex. It is the original 3-way adjustable swaddle that adjusts to your baby’s sleep style. 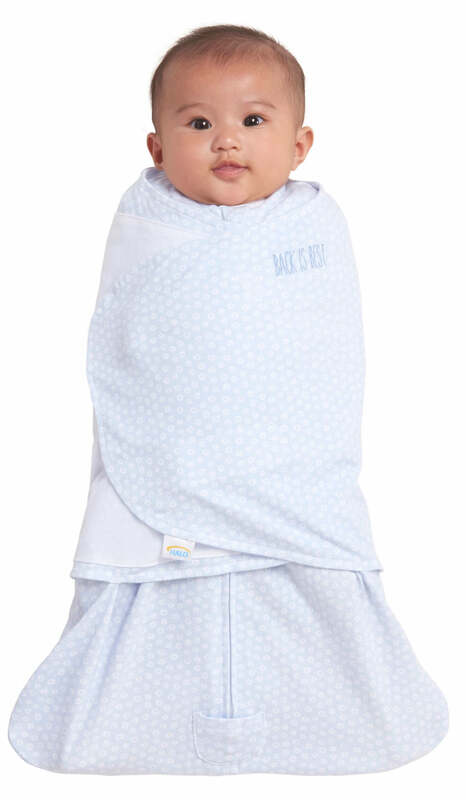 Swaddle arms in, hands-to-face, one or both arms out to ensure baby’s best sleep and an easy and gentle transition to the SleepSack® wearable blanket when it is time to stop swaddling. 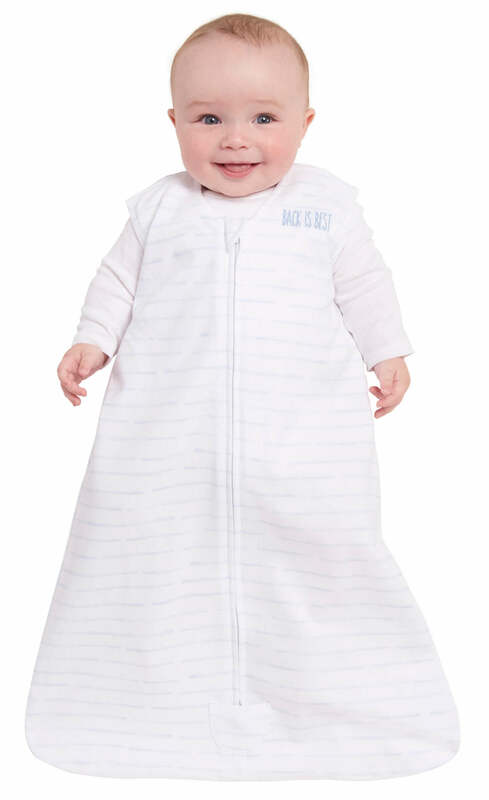 The HALO SleepSack is a warm cuddly blanket they cannot kick off; ensuring baby sleeps soundly throughout the night. Use over regular sleepwear to take the place of loose blankets. 100% cotton interlock. A two-way zipper with tab covers at top and bottom allows your baby to stay swaddled for easy diaper changes and makes dressing easy. The SleepSack Swaddle TOG: 1.5, SleepSack TOG: 0.5. 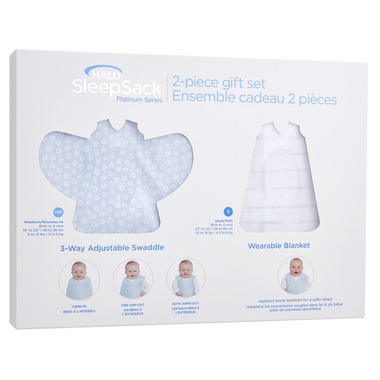 The gift set size is: a newborn SleepSack Swaddle (fits 6-12 lbs) with a small SleepSack (fits 10-18 lbs).